We had forgotten how hot and humid Singapore is – it was 9 years (to the day in fact) since we had been here! Walking around Singapore is not only draining but also uncomfortable. Our only refuge is air conditioning wherever we can find it. This weekend walk was around Singapore Zoo. Our day trip to the zoo also included a visit to the River Safari which was created by the Night Safari guys. As with all our other walks, we always discover something new. This time, as we walked through both parks, we grew an even greater appreciation for animals. There are just so many different types: big, small, colourful, spiky, smooth, furry… Each one individually created with its unique characteristics and role in our world! It’s always a harsh reminder how much destruction has occurred and is still occurring, endangering lives of so many precious creatures. We all can play a part (no matter how small) in making it possible to save this planet and all the wonderful animals so that our future generations can enjoy nature and wildlife as we can today. Another thing that we learnt was how much we would like to be able to see some of these animals in their natural environments one day. 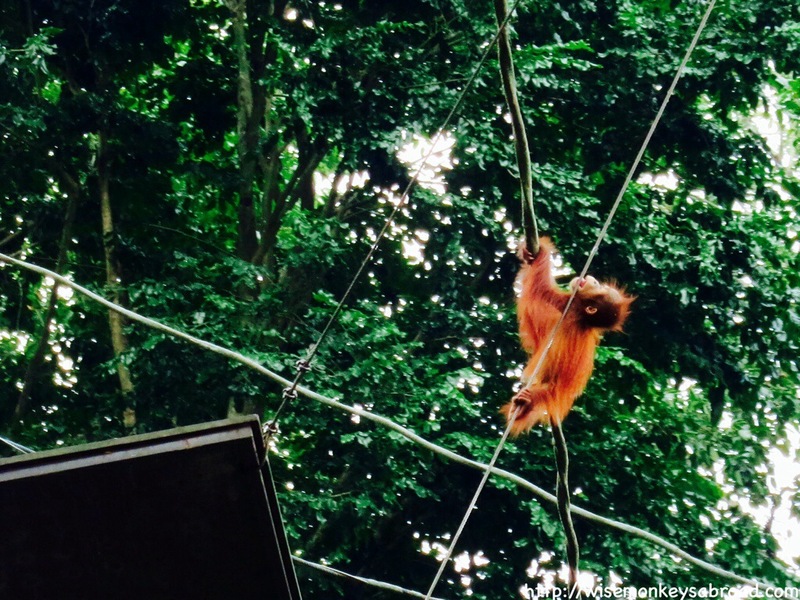 Hope you enjoy our pictures this week from Singapore Zoo. 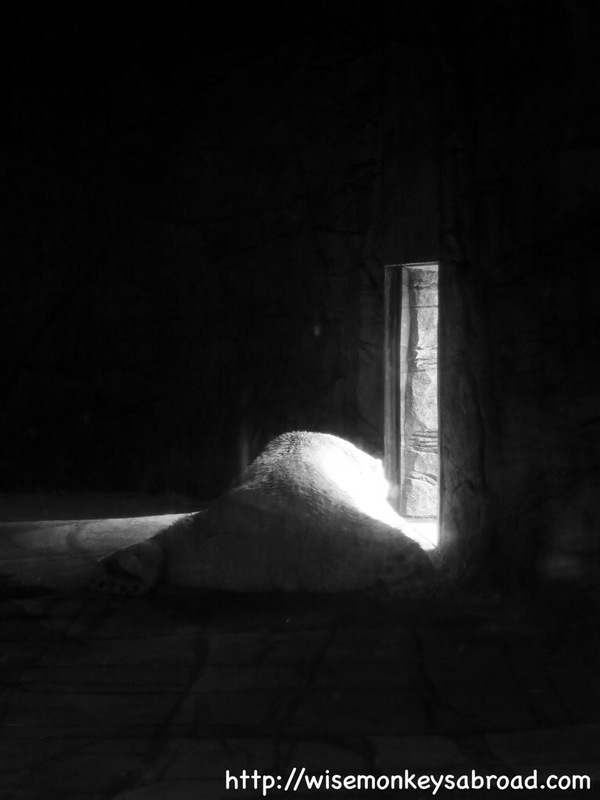 And only a few minutes before, he was keeping cool inside his cave, looking outside the doorway! 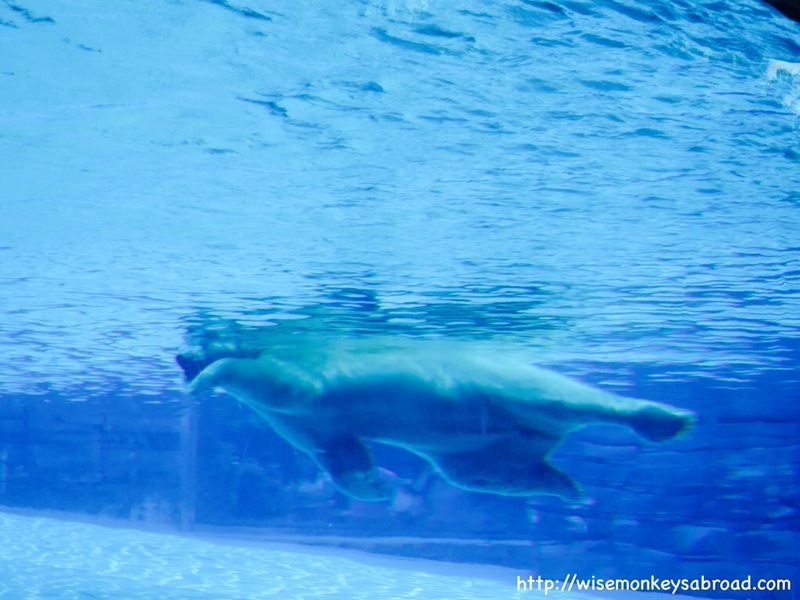 How to get to Singapore Zoo / River Safari / Night Safari? We took the RED MRT to Ang Mo Kio, caught bus no 138 to Singapore Zoo. 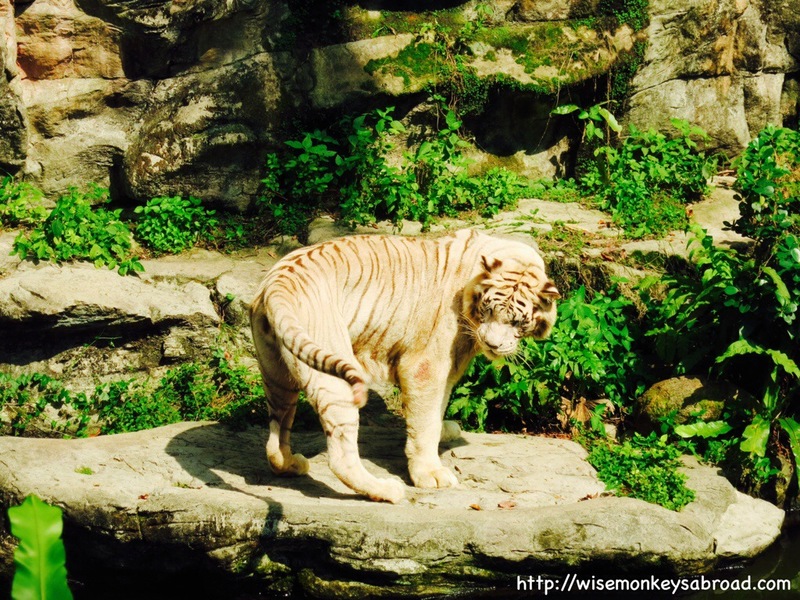 How much are tickets to Singapore Zoo? 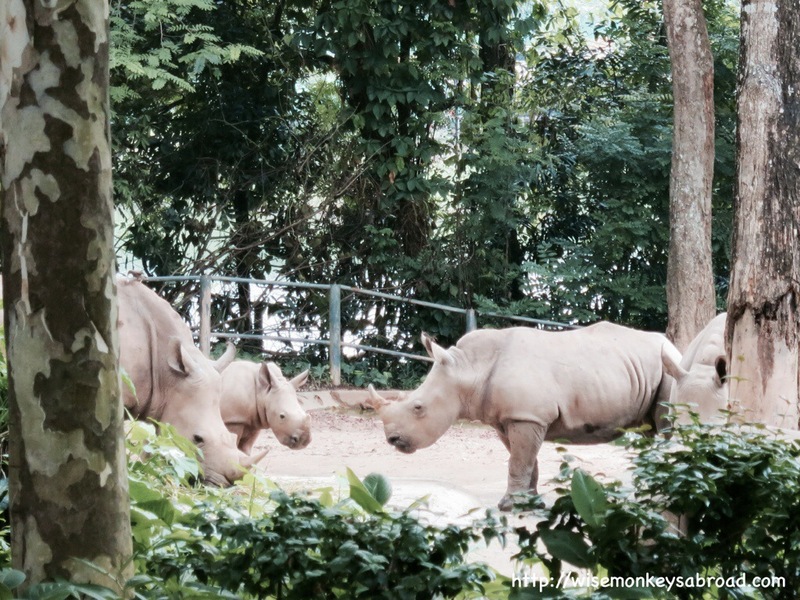 A Park Hopper ticket cost us $50 for both Singapore Zoo and River Safari. The combo ticket includes unlimited tram rides around the zoo. There are other combinations available but we chose not to visit the Night Safari this time. 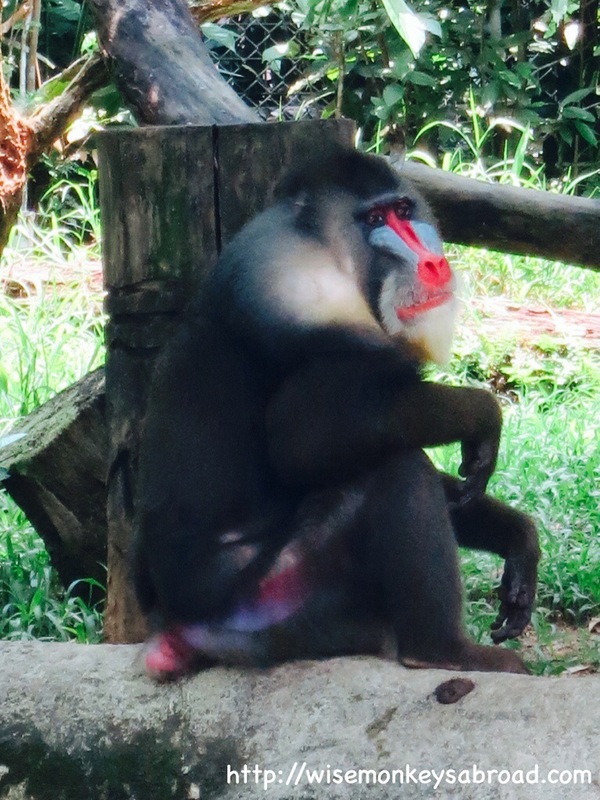 This entry was posted in Singapore, Weekend Walks and tagged animals, conservation, earth, Photography, planet, Singapore, Singapore Zoo, Travel, weekend walks. Singapore is SO clean you could honestly walk barefoot down the street and not get any grime on your feet. There are a lot of rules that you need to abide by such as no chewing gum, no littering, no swearing but in turn it has made the country so safe and clean. There’s no missing the hot and sticky weather. It was humid, really humid. There’s rain occasionally throughout the day, but they are more like quick sun showers. The zoo, Jurong Bird Park and night safari were all really incredible; seeing all the animals and birds up close and personal and especially the nocturnal ones being active for once. The orang-utans were practically free-roaming – as we walked past a tree, we heard some leaves rustling and before we knew it, an orang-utan was scuttling down to the keeper for a banana. And yes, everything here was clean too. We used cabs pretty much everywhere. We had heard public transport was smooth and easy to use, but we figured in this heat, all we wanted to do was escape to somewhere with air-conditioning. The good thing about cabs too was that they were cheap. Five days in Singapore was a perfect length as we felt we had done all that we wanted. 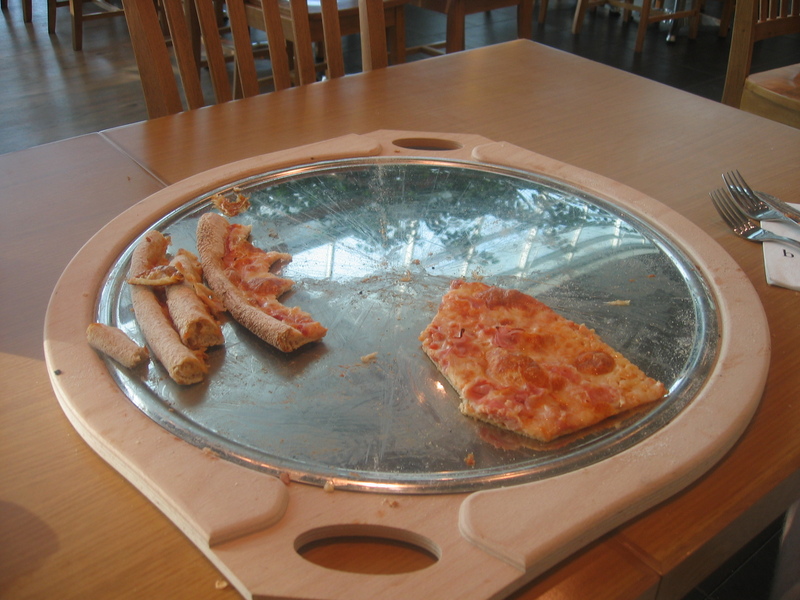 We can also say that we demolished a pizza which was HUGE. At the airport with what Singaporean money we had left, we decided to pick up breakfast. To use up all the money so we wouldn’t have to find a currency exchange place, we bought this pizza. When we ordered it, they said, “Are you sure you want a full pizza? They are really big!” And thinking we knew best that a full pizza was your usual large pizza, we insisted that it would be fine. And when the pizza was brought out, our eyes grew large as saucers. 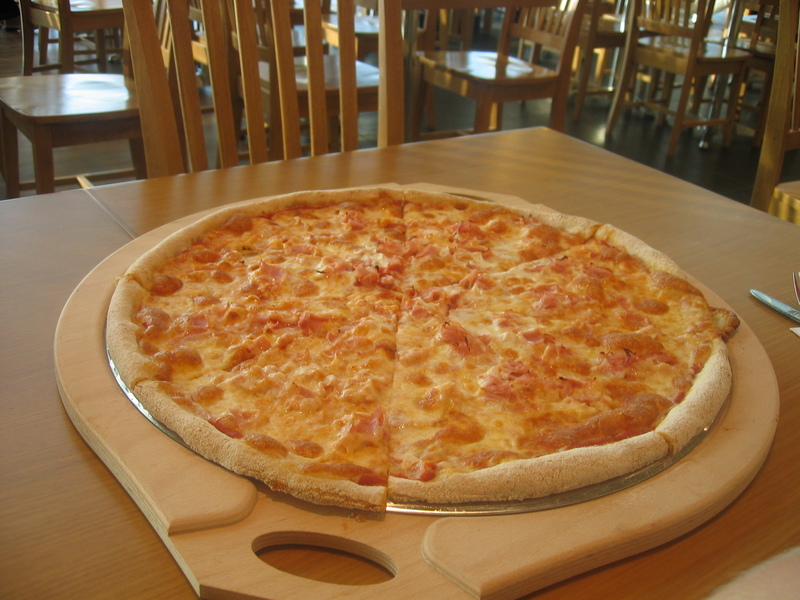 The pizza was huge and was easily 40 cm in diameter, at least! We know! It wasn’t very Singaporean nor was it really breakfast material. View more photos of our trips at Photo Gallery. This entry was posted in Asia, Singapore and tagged Jurong Bird Park, Night Safari Singapore, Singapore.